The Tracer's grille did not light up, IIRC. Only the Sable's did on first and second generation models. 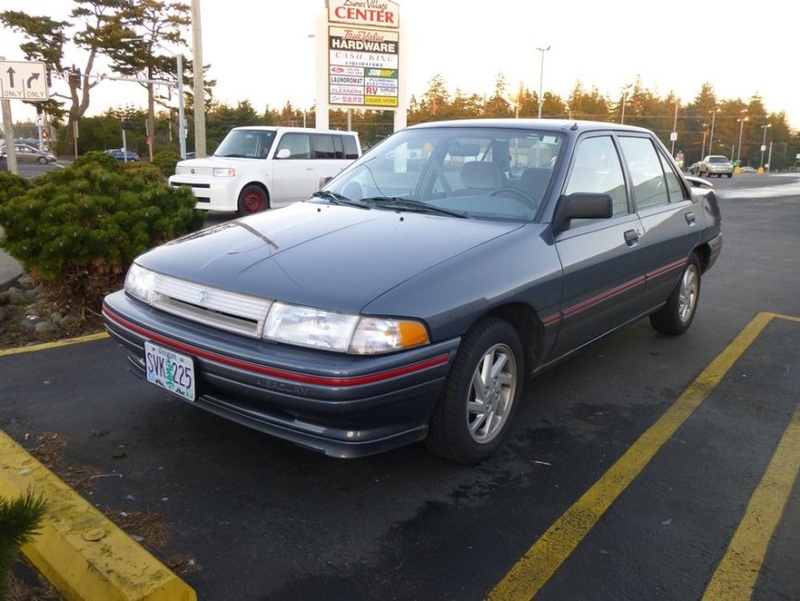 The only other car I can think of that had a light bar was the early 90s Grand Prix on some upper trim lines. No, the real enthusiast vehicle would be the RX8. It combines V12 Lamborghini gas mileage with Hyundai Genesis 4cyl. performance. As someone else said, there's way more to it. For example, I don't think a regular Atlas would fit in my garage with all the other stuff I have in it. Atlas CS would comfortably. We are only planning to have 2 kids... as long as the trunk can hold all our baby stuff we don't need a 3rd row. The Cross Sport Concept is only 8" shorter in length than the current Atlas, and it's an inch wider. 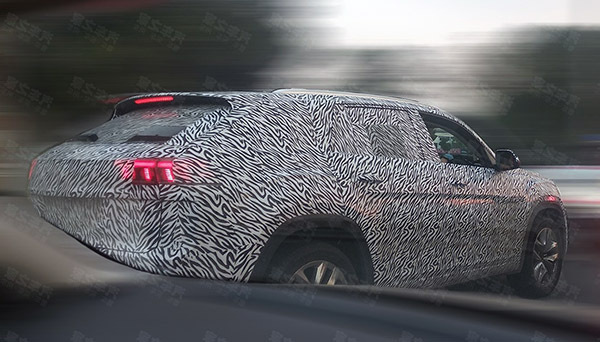 I'm not disagreeing that it's a far more aesthetically pleasing vehicle than the regular Atlas, but if I'm conceding to needing a vehicle this big already, I'd hate to lose the functionality of the vertical cargo space that the squareback SUV shape offers over the fastback. That could easily make all the difference in the world. As I noted recently my business partner had to cut out a section of drywall to get his F150 in his garage and can only park it in there because of the rear proximity sensors letting him know how close he is. Without that he would've cracked the drywall a long time ago, perhaps done more damage. I personally have absolutely no use for a third row now, so I'd take the shorter package even if they were the same price. Should someone check on Turbio? There's been at least 3 VW threads this week and he hasn't stopped in to do his normal shtick of "VW is terrible as a business and the design is too boring and everyone should buy a Subaru instead". probably online browsing for The North Face goods. Subaru fans chalk their negative experiences up to being part of a smaller brand and character. Something about beards, lesbians, and douche-flutes. America: RAWWWWR VW IS EVIL. TDI DESTROY ENVIRONMENT. ANGER. RAGE. ARGHHHH. DESTROY ALL VW. VW: Okay, we'll stop making TDIs. Here are 3 new bigger SUVs instead to replace the previous Tiguan and the Touareg which you guys thought were too small. They're... uhh... yeah. You can have them. Dude. I know why you feel the way you do. The new T-Reg is amazing. I would love one. I loved the v8 gen 1. I loved my friends mk'3' tdi. It's not going to happen. I wish it would, but it won't. That being said, the Atlas is helping VW stay in the US and if it takes killing the Treg and bringing more Atlas based SUV's and trucks, I'm all for it. If the onslaught of SUV's and etc push the sales numbers to (and I'm pulling this number out of the air) 600k a year consistly, they might be willing to take a loss and bring back the T-reg. Meanwhile, skip the Atlas and get a Atlas Sport or what ever they call it. It's a great looking SUV. It's OK if they don't release the touareg here. This Atlas Cross Sport is good looking enough to take top model SUV for a while. Not the current Atlas though. The current Atlas is indeed quite ugly. Yeah, the back end treatment on the Cross Sport gives a sportier profile to it. I like it too. 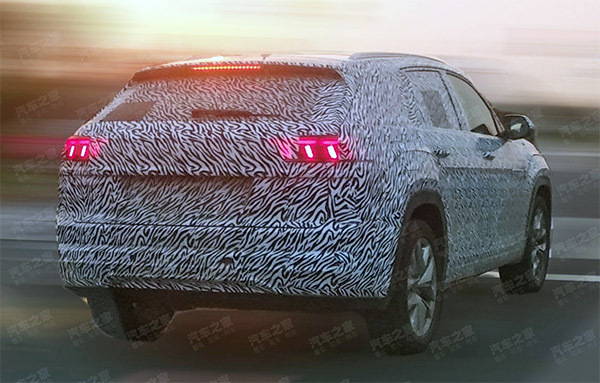 Looks as if I'm hanging on to my V8 for the next couple of years as we all wait to see if Volkswagen brings the Touareg back to the North American Market. What a ****ing mistake on Volkswagen! Really dissapointed with Volkwagen! You and the other ten people that would have bought a Touareg for towing like that have every right to be disappointed. This Mattress stain ........ Why don't you head over to Club Touareg and check it out the only ten people using the Touareg to tow. In after Ryukein seal of approval. Isn't there some sort of Audi or Porsche, with comparable power (and a more appropriate brand name to pricepoint ratio) that will do the job for you? If not, I'm sure BMW or M-B have something that'll do the trick, since you seem committed to staying with a German brand. Dude should just go for a Cayanne. Used if need be. Of course there are many other options that would suit his needs but why would that matter when he can whine that VW won't bring over a vehicle that would only sell in limited numbers at the price they would charge. At least he isn't calling for the Amarok to be sold here. That won't tow the airstream either. I miss the Touareg too, but if you really want one that badly, why not get a CPO Cayenne for an equivalent price, or splurge a little more on a new one? If you can go easy on the options, the price-differential isn't as big as one might think, and IME the Cayenne is quite a capable and durable vehicle. Not sure what you'd need to tow that airstream, but if the Cayenne checks out, that would be one good looking setup. This past summer I test drove a new Touareg at VW's Wolfsburg off road course. Fully loaded they cost $90k to $100k, still want one?